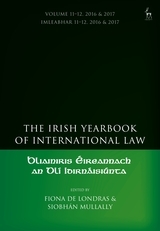 The review appeared in The Irish Yearbook of International Law, Volume 11-12, 2016-17. It was written as part of the Beyond Words: Latin American Truth Commissions’ Recommendations project. This entry was posted in Transitional justice, Transitional Justice & Legal Empowerment on November 29, 2018 by AnnaG.